From superheroes to your fave cartoon characters. There are two different types of Halloween goers: ones who go all out, and ones who just want to look pretty. Celebs? Well, they always manage to be both. Need proof? 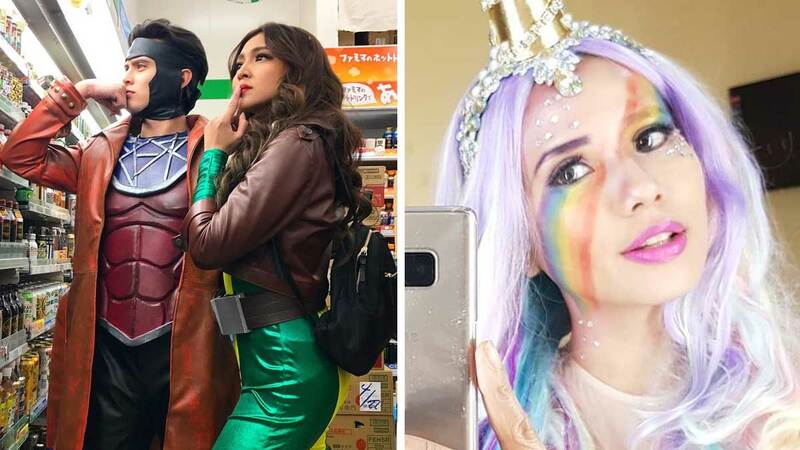 Check out what your fave stars wore to #Halloween 17. James Reid and Nadine Lustre as X-Men’s Gambit and Rogue. Maine Mendoza as Bride of Chucky. Martine Cajucom and fiancé Cliff Ho as Beetle Juice and Lydia Deetz aka goth girl. Jessica Wilson and boyfriend Moritz Gastl as Britney Spears and astronaut from the music video of "Oops!...I Did It Again." Janine Gutierrez as Lara Croft and Cruella de Vil. Isabelle Daza as pregnant Colossal Titan. Kiana Valenciano as X-Men’s Storm. Dingdong Dantes as Batman, Marian Rivera as Cat Woman, and their daughter Zia as Bat Girl. Toni and Alex Gonzaga as Frozen's Anna and Elsa, with baby Seve as Olaf. The Intal family as minions. The Belo-Kho family as crayons. Vhong Navarro and Billy Crawford as Joker and IT/Pennywise, respectively. Juliana Gomez and her friends as Riverdale's River Vixens. Maxene Magalona and Rob Mananquil as Paul Varjak and Holly Golightly from Breakfast at Tiffany’s. Gabbi Garcia as a retro-chic pin-up girl. Max Collins as Dorothy from Wizard of Oz. Laureen Uy as a ghostbuster.